The category type determines how income and expense transactions within a category are reported in PocketSmith. Learn how to set the category type so that your transactions are displayed accurately. 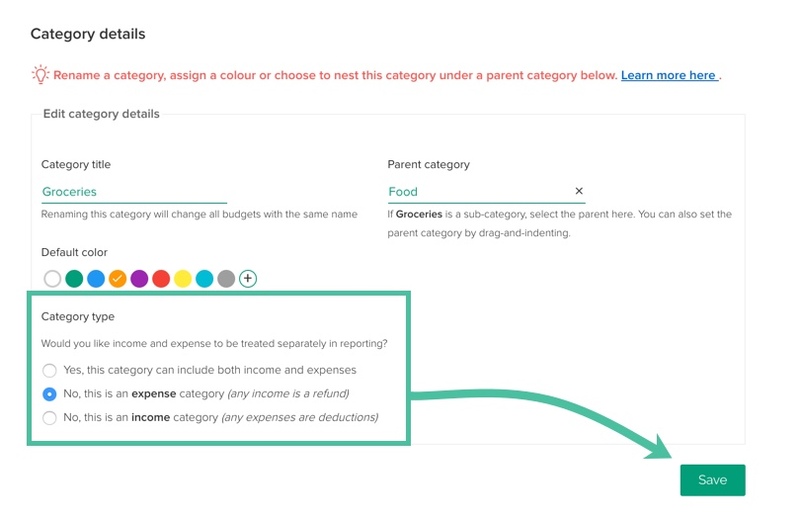 When creating or editing a category, you can set a category type to determine how any income and expense transactions assigned to this category are reflected in your reporting and budgets. By default, for any unbudgeted categories, PocketSmith will treat any credit transactions as income, and any debit transaction as an expense. This works well in most cases, however, what happens with credit transactions that aren't technically income, for example, when you receive a refund for returning a purchased item or your friend reimburses you for buying dinner? This is where category types come in handy! By changing the category type you can tell PocketSmith how you want income and expense transactions for a particular category to be treated in your reports and budgets. Would you like income and expense to be treated separately in reporting? You can learn more about each of these options below. 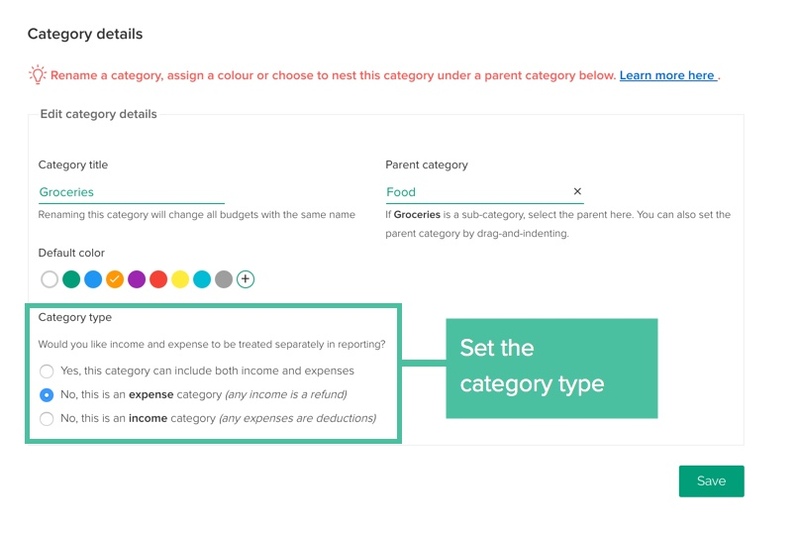 The category type affects how the transactions assigned to a particular category are calculated and displayed in different areas of PocketSmith, such as within a budget, on the Cashflows page, the Income & Expense statement, your Dashboard Earning and Spending graph and the Income and Expense pie on the transactions page. As soon as you create an expense budget for one of your categories, PocketSmith will adjust the category type for that category for you, to: No, this is an expense category (any income is a refund). This is the default option that PocketSmith applies to your categories. It means that income and expense transactions that are assigned to your categories are treated separately - so they will each be displayed as income or expense respectively. When this option is selected, the category and its transactions will only show in expense sections in PocketSmith. Any credit transactions assigned to this category will be treated as a refund and subtracted from the expense total. When choosing this option, the category and its transactions will only show in income sections of PocketSmith. Any debit transactions that are assigned to this category will be subtracted from the income total. Does category type affect how transfer categories are displayed? It's best to set the refund behavior for transfer categories to: 'Yes, this category can include income and expenses'. This is because transfer categories will include both income and expense transactions. Why is one of my expense categories showing in the income section?